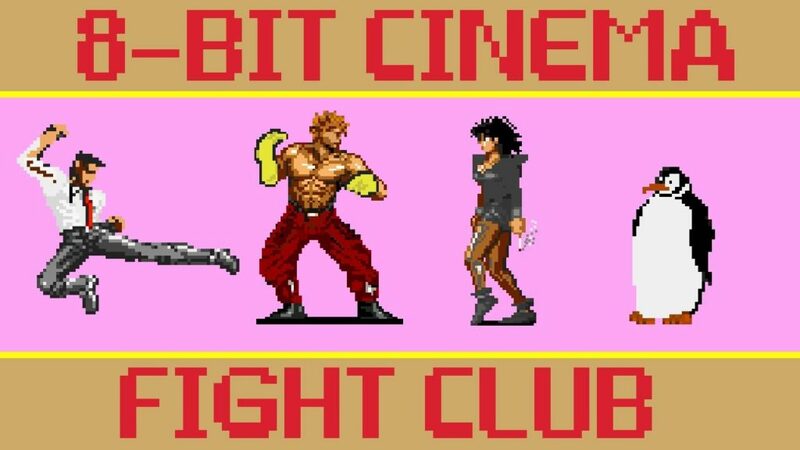 CineFix presents Fight Club retold via 8-bit (OK, this one’s mostly 16-bit) game tech. No quarters or controllers required! Today we present Fight Club in the form of an 8 bit video game! 8 Bit a.k.a. the third generation of gaming started in 1983 with the Japanese release of the Nintendo Family Computer and Sega. Can you guess what games inspired our 8-bit version of Fight Club? Comment below and suggest the next movie 8-bit Cinema should “gamify”.